JaMarr Brown is the founder of the Selling In Color Sales System and the host of the Break It Down Brown internet radio and on-line television program. He has an award-winning track record in Corporate America achieving such awards as Sales Person of The Year, Sales Manager of The Year and being a Vice President of Sales for a billion-dollar medical device company by the age of 30. He also successfully led the marketing efforts for 200-million-dollar Pharmaceutical Brand. JaMarr is the author of 3 highly acclaimed books and several audio programs including his latest release titled, “How to deal with Post Traumatic Sales Syndrome.” His passion is to help business professionals uncover, unlock and unleash their true potential. His combination of proven results and an ability to connect with audiences on a personal and inspiring level make him a speaker that truly transforms the mindsets of his audiences. How does a salesperson go from nearly getting fired to Sales Person of the Year? In What's Your Sales Story? 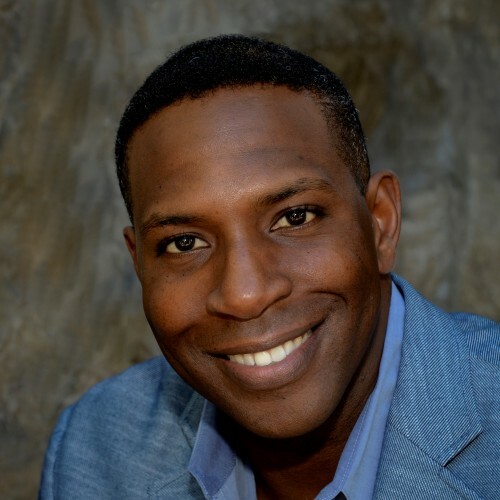 award-winning sales professional and leadership executive, JaMarr Brown, takes you on an engaging and eye-opening journey into his inspiring story of transitioning from last place in the sales rankings to winning the prestigious Sales Person of the Year award at Allergan Pharmaceuticals. In a rare, behind the scenes look at the internal challenges and struggles of succeeding in the high-stakes world of pharmaceutical sales, you will discover the lessons and principles that led to JaMarr's meteoric rise from the bottom to the top of the sales rankings, and how you can apply them to your career of sales team. Every major accomplishment, achievement or breakthrough started with one simple thought that turned into inspired action. Break It Down Brown, Volume One takes that concept and provides 15 simple and thought provoking ideas designed to stir a shift in your perspective that can lead to a life changing breakthrough. In an entertaining, real-world and conversational style, you will learn the deeper meaning and lessons from the everyday life issues, challenges and experiences that we all go through. As you change your perspective, you will unlock the ideas that can lead to a change in your life! "You're ugly!" Little Jimmy had no idea that those two words could hurt so much. All he wanted to do was play football with the other kids in the neighborhood. Usually, he was the kid who would get picked last or not at all. However, on one fateful day, Jimmy gets picked by one of the teams, and his excitement is quickly turned to sadness when he is teased by the neighborhood bully, Vince. On that day, he realizes that the saying "sticks and stones may break my bones, but words will never hurt me" is simply not true. Because he believes he is ugly, Jimmy makes a decision that will change the course of his life, until one day he looks back and realizes what being called ugly really meant. If you are not satisfied with your current sales results, and have a sense of stress, pressure and overwhelm, you may be suffering from Post Traumatic Sales Syndrome. If you can understand how to recover from Post Traumatic Syndrome then you will unlock your potential as a sales professional and feel good about yourself again. Post Traumatic Sales Syndrome affects nearly every sales person and is a key factor that prevents sales people from reaching their potential and having a sense of fulfillment. It is a condition of persistent mental and emotional stress occurring as a result of not effectively understanding and dealing with the consistent rejection, pressure and expectations of being a sales person. During this audio program you will learn what Post Traumatic Sales Syndrome is, if and how it affects you and 10 steps to successfully recover from Post Traumatic Sales Syndrome. Find out more about JaMarr Brown at http://jamarr@jamarrbrown.com.